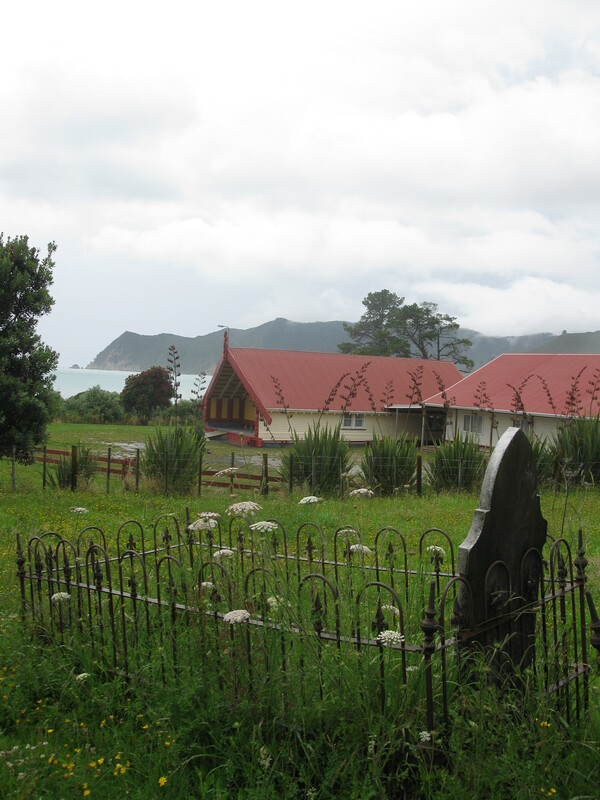 I had read in some guide-book somewhere that Waipiro was a ghost town. Not literally a ghosty-ghouly place but a once thriving town that’s now almost deserted and is a hanging-in-by-the-skin-of-its-teeth kind of place. In my opinion it is a stunningly beautiful bay that has tremendous potential for a great tourist destination offering fishing, surfing, diving, horse trekking etc. 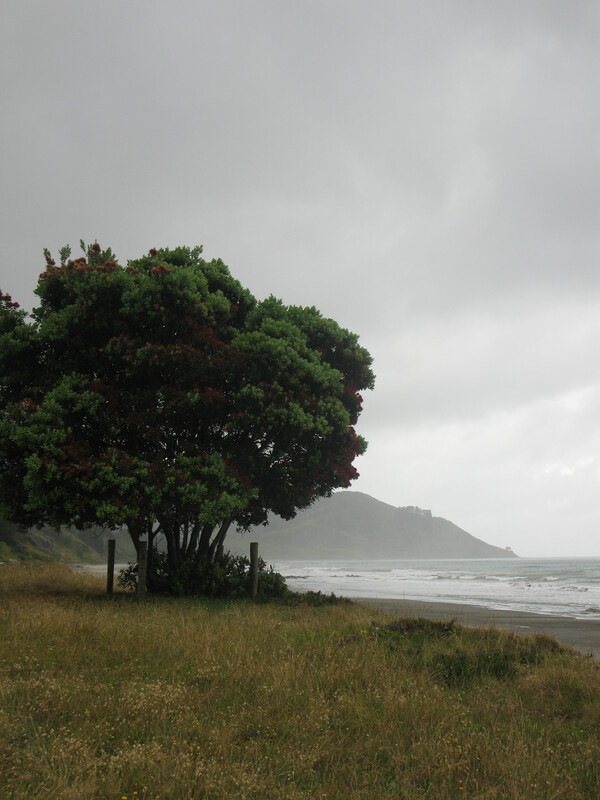 We only got to see wet Waipiro as it rained the afternoon we arrived. And in the evening. And through the night. And just a little bit more in the morning. We had literally just driven out of the bay and back onto the SH35 when the rain stopped and the sun came out. 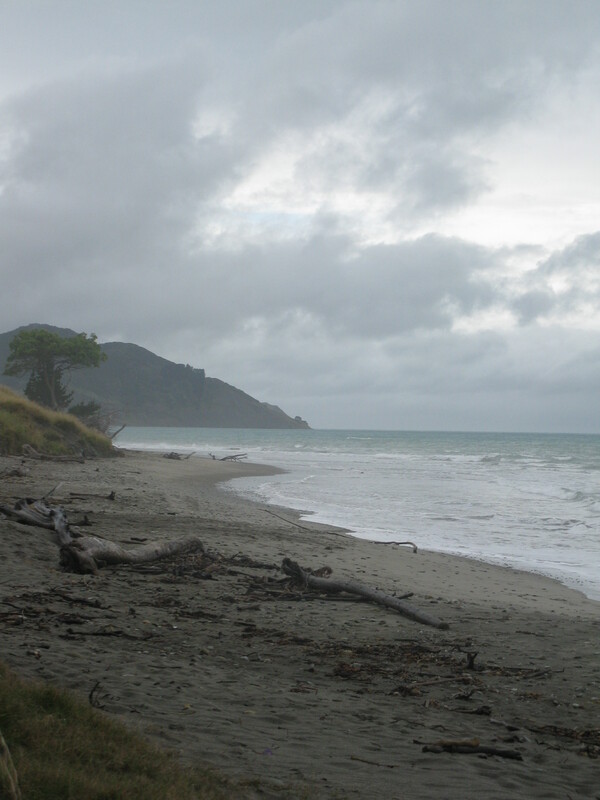 Between the 1890s and 1920s Waipiro Bay was bustling with coastal shipping trade. The lack of a harbour or wharf meant that livestock , wool, mail and people were transferred out to ships by rafts or surf boats while timber was moved by simply floating it on the tide. 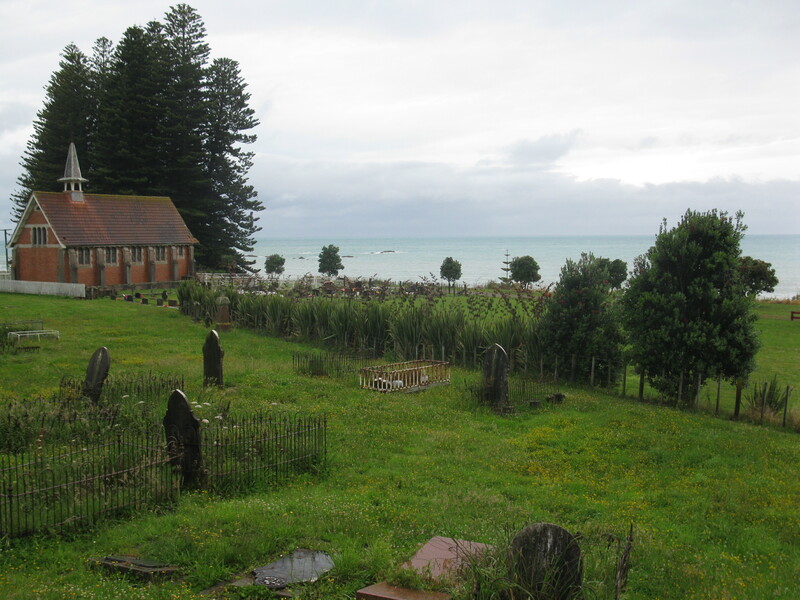 By the turn of the century Waipiro was the largest settlement on the East Coast and the centre of county administration. 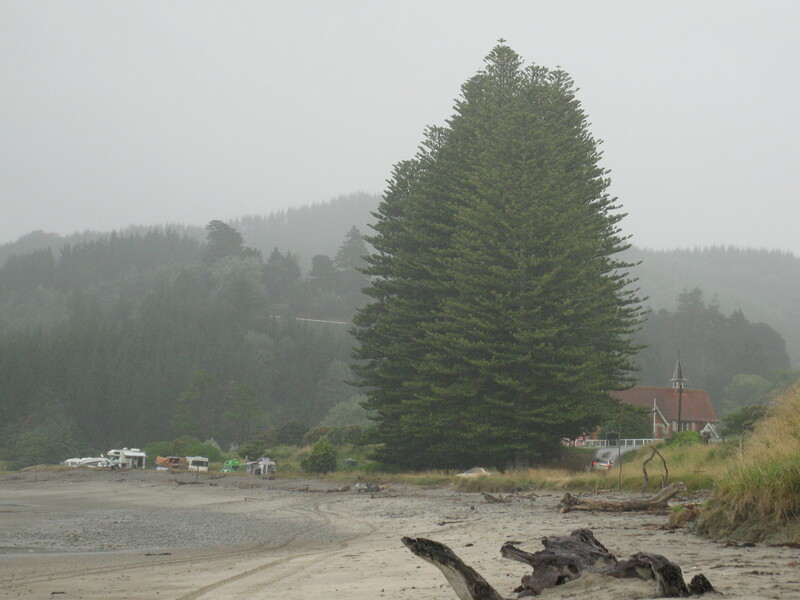 Shipping was critical to the coastal settlements until the 1930s when newly built roads and increasing motor transport took the traffic and trade inland leaving Waipiro, and many other coastal settlements, with little reason to continue existing. I cannot begin to imagine what life must have been like for the inhabitants of these “ghost towns” after the ships stopped calling there. No doubt families found it beyond hard to continue to live in the remote but beautiful spots that had now been all but abandoned by commerce and society. The romantic historian in me wishes to think that life could continue in some comfortable format for the lucky few … but I’m guessing it is only in more recent years that the majority of new inhabitants are beginning to drift back to these deliciously deserted villages. We enjoyed our stay in Waipiro and were delighted that Gisborne District Council provided not one but two freedom camping areas there. 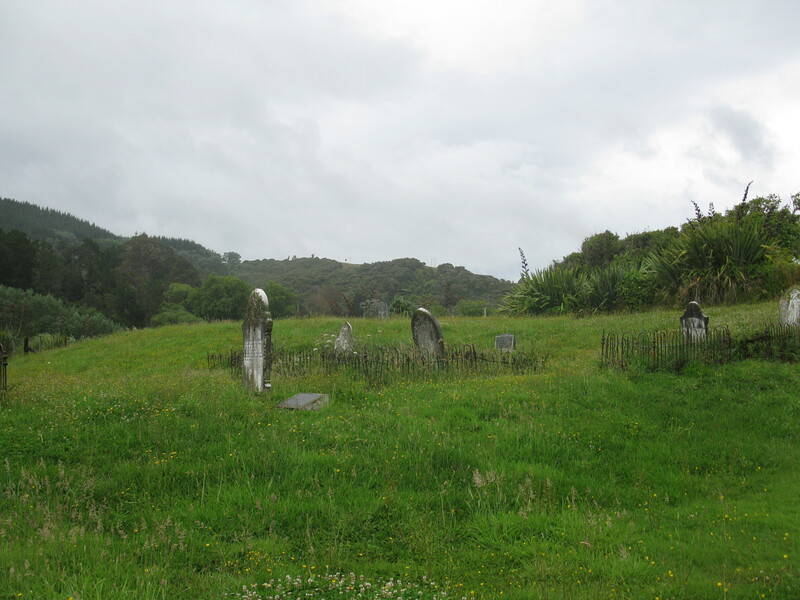 I can find very little information about the deserted St. Abrahams’s church and graveyard that I photographed in Waipiro but will finish this post with some of the pictures I took there. 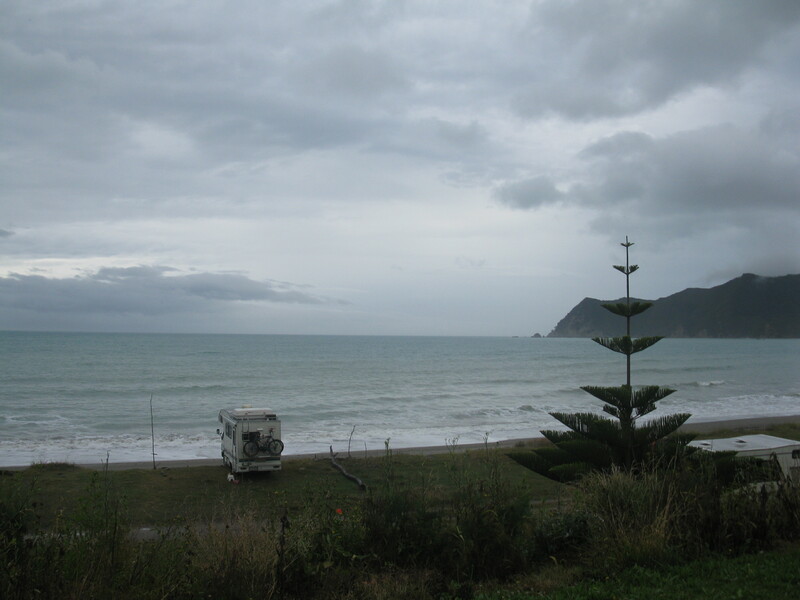 I think Waipiro Bay was the site of one of the first picture theatres in NZL (Kerridge lived here) and the movie projectors are at the Te Araroa camping ground (or at least were a number of years back). 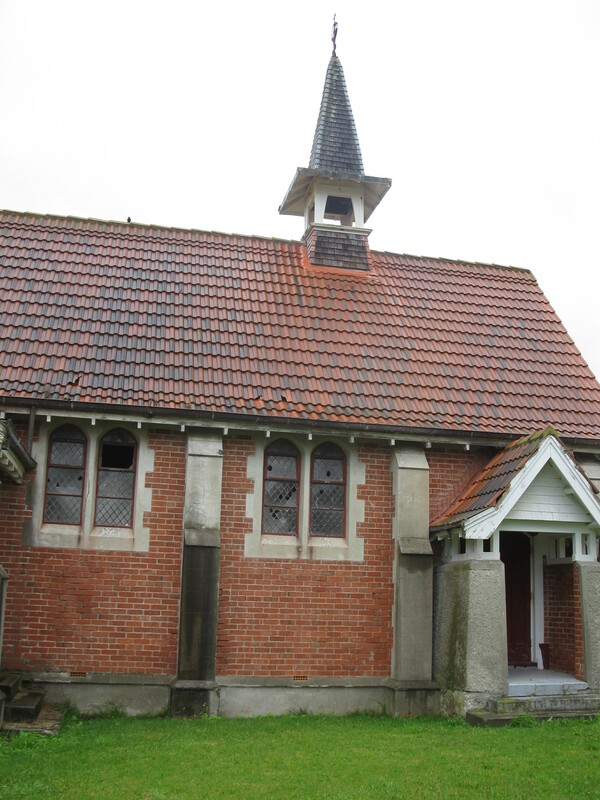 It was also the setting for the movie Ngati (1988). 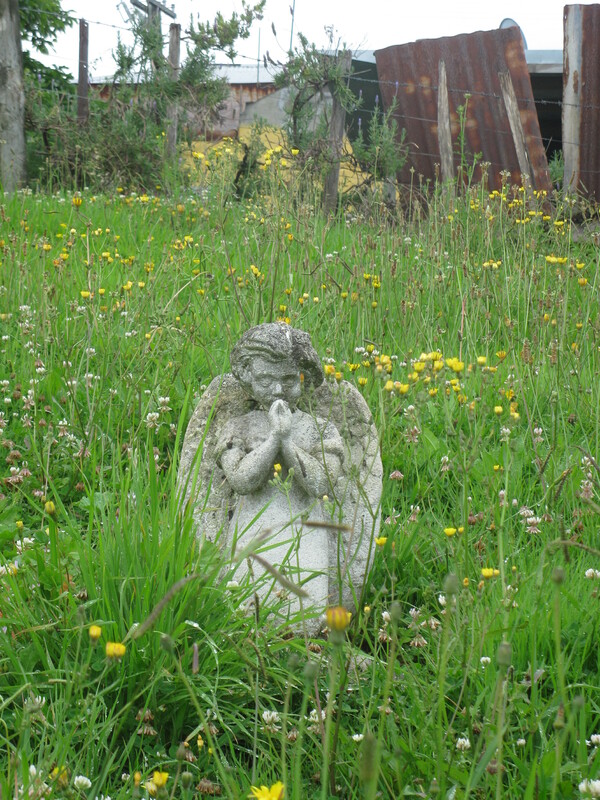 It’s certainly a fascinating place, humming with history. I look forward to visiting again one day – hopefully when it’s a bit drier and we can stay longer!